In 2017 & 2018, the Health Innovation Summit initiated new approaches to creative problem solving, inspired honest conversations about difficult social issues, and applied innovative thinking and technology to improve the patient care experience. For 2019, the Health Innovation Summit will shift to a more focused, solution-driven conversation on the intersection of mental health and addictions. The 2019 Summit will host a variety of speakers who share their own experiences with mental health and addictions, as well as insights on how we can address a growing need around mental health and addictions services in Saskatchewan. 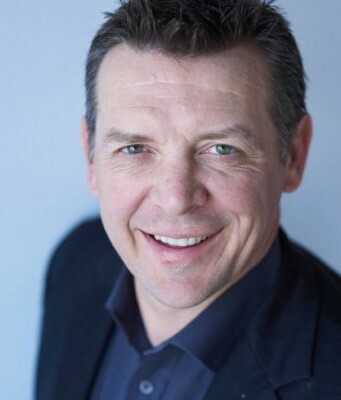 Keynote speaker, NHL Champion, Theo Fleury, will share his personal story of a troubled childhood, abuse and coping with emotional pain through addictive, self-destructive behaviours, and how he overcame those obstacles to devote his life to helping others gain mental health and additions support. The aim of the Health Innovation Summit is to share ideas and build on collaborative relationships – once again the Summit will showcase innovative work happening here in Saskatchewan, as well as to provide participants with the opportunity to take part in a full day hackathon. Led by Adam McInnes, the 2019 Summit will also bring back the incredibly popular Med.Hack(+) Hackathon - a creative problem-solving approach that brings together healthcare professionals, students, entrepreneurs, system leaders, and technology creators, to work in interdisciplinary teams that build solutions to problems in healthcare identified by their peers. Bringing together healthcare practitioners and decision-makers, community and business leaders, and patients alike to identify the preferred future of healthcare in our province. Open and transparent conversations regarding what people want out of their healthcare experience. Sharing knowledge and insight on how to grow a meaningful and sustainable patient-centred system. Developing a calls to action for all stakeholders - both patients and providers alike - that will build a solid foundation for guiding delivering high quality, safe patient care. Our vision for the day is still a work in progress; please check back frequently as we continue to finalize plans. Fast-paced presentations highlighting the amazing and innovative work happening in healthcare around Saskatchewan. Each time Theo shares his message, he invests himself unreservedly for one single purpose: to help. Theo’s talks inspire leadership, teamwork and resilience, and they are never short on entertainment value as well. It is never too late for positive reinvention, and Theo’s dynamic storytelling might be just the inspiration you need to finally confront life’s challenges head-on. Check back at a later date to learn more about the panel members. With the guidance of Adam McInnes from Med.Hack(+), the 2018 Summit introduced participations to the world of “hacking” as a means to focus on building solutions for a stronger healthcare system. For 2019, the Health Innovation Summit will continue to build on our partnership with Med.Hack(+) to once again offer participants the opportunity to take part in the Summit Hackathon. What is a hackathon, you ask? A Med.Hack(+) hackathon is a creative problem-solving approach that brings together healthcare professionals, students, entrepreneurs, system leaders, and technology creators, to work in interdisciplinary teams that build solutions to problems in healthcare. These interdisciplinary “Solutions Teams” will spend the day brainstorming and developing solutions to problems in healthcare identified by you! Participants will have the opportunity to choose which Solutions Team they wish to join based on the topic which interests them the most. Calling All Tech People! Our “Solutions Teams” need you! Your specialized set of skills matched with the unique perspective of healthcare providers, patients and/or business leaders is exactly what we need to bring these innovative solutions one step closer to reality. Join us on September 25th to become part of a “Solutions Team”. Are you a healthcare professional who thought “someone should develop/build/invent [insert your idea here]”, but didn’t know where to start? Have you ever been a patient/family member trying to navigate the healthcare system and thought “[insert problem here] would work better/be easier if they only had a [insert your idea here] for that”, but needed an engineer or computer person to help build/develop it? Do you have an idea you would like to get off the ground? Then you need a hackathon! Submit your idea for improving the delivery of healthcare to the Summit Hackathon for a chance to team up with subject-matter-experts and get your idea one step closer to reality. Ideas must be submitted using the online application form below and should focus on new methods or technology/devices to improve the delivery of care; submissions related to staffing needs or policy changes will not be accepted. Thank you for your interest in attending the Health Innovation Summit. Registration for the 2019 Health Innovation Summit will open in May 2019. Please subscribe to our email distrisbution list (bleow) to receive updates and information regarding the Summit and furture Health Innovation events. As a group of community stakeholders with a common and vested interest in the patient care experience and healthcare overall, the Health Innovation Summit Steering Committee recognizes we do not have the authority to make decisions about healthcare in Saskatchewan; however, we do have the opportunity to influence change through conversation. Thank you for being a part of the conversation, for sharing your experiences, ideas, commitment, and passion. Thank you for wanting to be a part of the solution and leading change with us. Dr. Marlene Smadu, RN, EdD, LLD (h.c.) has been a registered nurse for over 40 years, serving in a variety of leadership roles in health, nursing and education during her career. 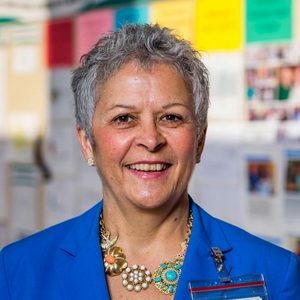 She created and served in the role of Vice-President of Quality and Transformation, Regina Qu’Appelle Health Region, Regina, Saskatchewan, Canada 2012-2016. 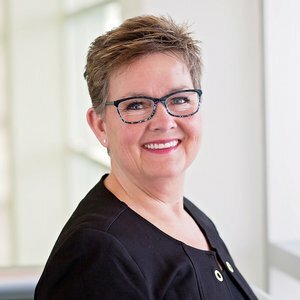 Prior to that she served as the Associate Dean, Southern Saskatchewan Campus and International Student Affairs for the College of Nursing, University of Saskatchewan, Assistant Deputy Minister of Health and Principal Nursing Advisor for the government of Saskatchewan, and Education Consultant and Executive Director at the Saskatchewan Registered Nurses Association. She has practiced nursing in all domains (clinical, education, administration, research and policy) and in a variety of settings in Canada, Papua New Guinea, and Qatar. Tracy Zambory is a Registered Nurse and President of the Saskatchewan Union of Nurses (SUN); the union representing more than 10,000 Registered Nurses, Registered Psychiatric Nurses and Registered Nurse (Nurse Practitioner)s in the province of Saskatchewan. With 27 years of experience in providing direct care to long term care patients, Tracy has leveraged her passion for the nursing profession and unwavering commitment to improving safe patient care to become one of Saskatchewan's foremost health activists. Frequently featured in the local and national media, Tracy is a recognized and respected leader in advocating for an expanded and strengthened universal health care system that is equally accessible to all Canadians regardless of their ability to pay. Her outspoken dedication to social justice issues and intimate knowledge of Saskatchewan's health system have firmly established her as a go-to resource for provincial media, government and healthcare stakeholders. Recognizing the importance of being a responsible and engaged global citizen, and that Canada's health care challenges are not unique, Tracy has prioritized knowledge-sharing with her international nursing counterparts. In her role as union president, she has attended International Council of Nursing (ICN) Biennium Conferences in Spain and Korea, where she had the opportunity to lead dialogue on issues such as the benefits of a national pharmacare plan as well as the impacts of privatization in health. She also attended a study tour to examine models of care being implemented in the New Zealand health system. Tracy also represents her members as the current Vice President of the Saskatchewan Federation of Labour (SFL) and as an Officer on the National Executive Board of the Canadian Federation of Nurses' Unions (CFNU). Born and raised in the town of Stoughton, Saskatchewan, Tracy still lives there with her husband, Sam, and their dog, Danga, where she is known for her community service, and her love of gardening and baking. Mr. Bell is currently Chief Operating Officer and Executive VP Assets for the PIC Group of Companies. Mr. Bell serves as Portfolio Manager for Round Table Management, the Kreos Aviation Group of companies, PIC Flight Services, as well as several other investments and projects for PIC Group. Mr. Bell has an extensive background in business management, people management, marketing, sales, and business analysis. 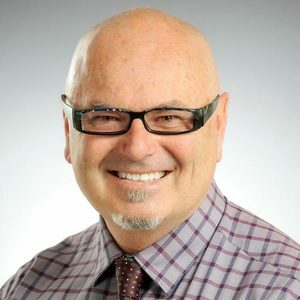 Mr. Bell has developed this wide range of skills having worked with a number of Fortune 100 companies over the 15 years prior to joining the PIC Group of Companies in March 2008.
david Gregory is Professor and Founding Dean of the Faculty of Nursing, University of Regina. 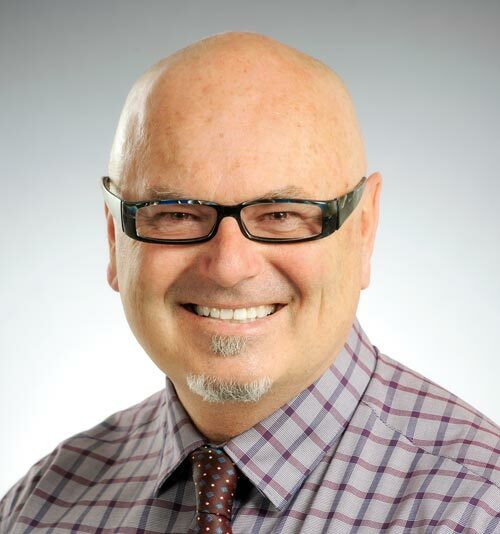 His research interests include nursing education, Indigenous health, and qualitative methodology. Joanne is currently serving as President of the Saskatchewan Registered Nurses Association, the professional regulatory body for Saskatchewan’s over 11,000 RNs & RN(NP)s. She is the Saskatchewan delegate on the board of directors at the Canadian Nurses Association in Ottawa. She also serves as a Nurse Peer in the eHealth Sask Peer to Peer program bringing the clinical practice view to the implementation and adoption of electronic health solutions. She is employed as a staff RN at the Assiniboia Union Hospital, a rural integrated facility and also works casual in the Emergency Room of the Dr F.H.Wigmore Regional Hospital in Moose Jaw. 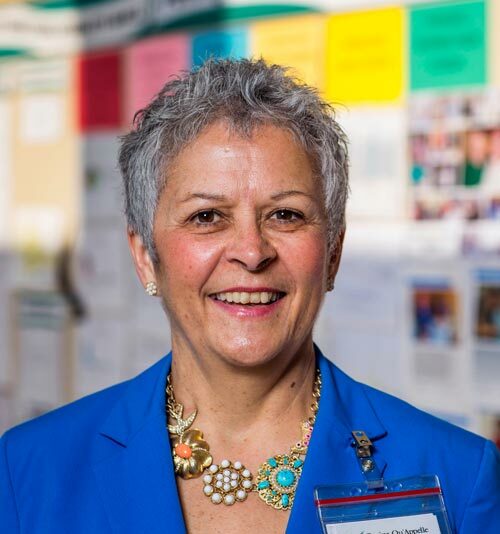 With nearly 30 years of nursing experience at the point of care, she is passionate about nursing professionalism and leadership at the grassroots level. Mr. Sanj Singh has over 20 years of successful leadership experience in business, biotech and pharmaceutical life science industries. Sanj’s philosophy is to add value to someone, an organization and/or cause every day. Currently serves as CEO of Temple Therapeutics BV, a Dutch clinical stage development company. Previously, he co-founded and served as Chairman, President & CEO at AdeTherapeutics Inc. Throughout his career, Sanj has assembled and led a team of experts and thought leaders focused on growth opportunities in hospital and acute care. Key objectives include successful identification of strategic commercial partnerships for late stage Phase II/III development programs, financing, supply chain, development partnerships and expanding portfolio opportunities. Prior to AdeTherapeutics, from 1999 to 2005, Sanj executed several high-value asset and technology transactions. Sanj has been involved in four start-ups which led to private sale exits. 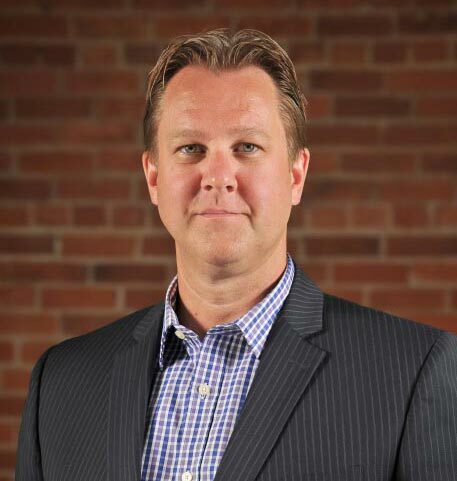 He is currently in his third year on the Board of Directors for BioteCanada. He also is the Vice Chair of the Emerging Companies Advisory Board to BioteCanada. He served three consecutive two year terms on the Board of Directors at the Greater Saskatoon Chamber of Commerce from 2010 to 2017. While there he co-founded and co-chaired the Health Opportunities Committee, a role he is still active in building two highly successful, fully sponsored and nationally recognized events. 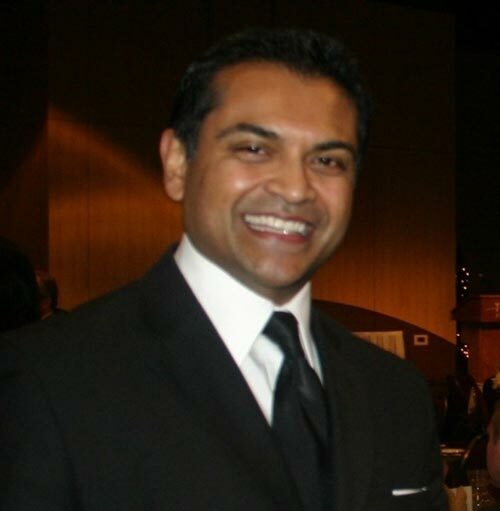 Sanj was a professor of entrepreneurship and technology management at the University of Saskatchewan between the years of 2004-2011. He was Chair of the MBA bioTechnology management program and a Wilson Scholar of Entrepreneurship. He built the technology and entrepreneurship curriculum, and served as the inaugural director and led the growth of the University’s entrepreneurship centre (Wilson Centre for Entrepreneurial Excellence), churning out several successful start-ups which are highly profitable today. 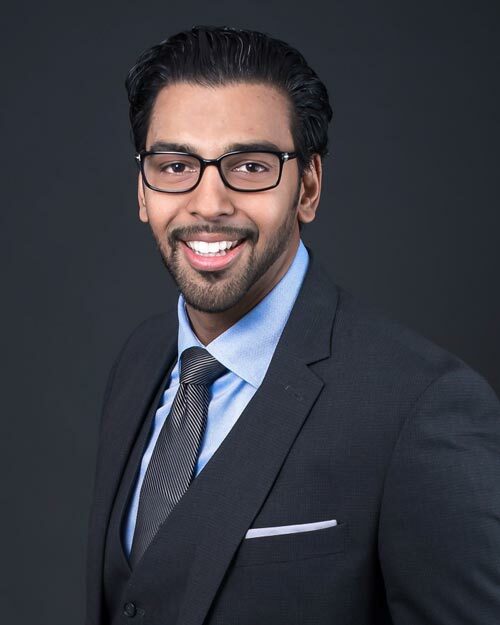 Sanj was responsible for conceiving and implementing the “Dragon’s Den Pitch Party”, an annual fund raiser event attracting over 800 people. During his tenure as Director (from 2008-2011) he created the “i3 Idea Challenge” which became a top 5 business plan competition in North America. Sanj attracted a sponsorship prize package worth $300,000, which was awarded to aspiring young students looking to launch their businesses. 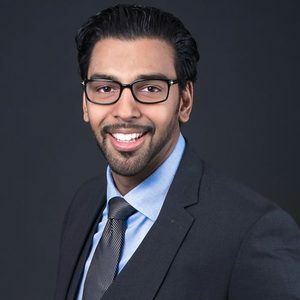 Sanj attended The University of Saskatchewan Edwards School of Business, and received undergraduate and graduate degrees in Finance, Marketing and International Business and Biotechnology, respectively. He is married to his spouse, Theresa and they have four adult children, all serving or educating within health care. Sanj and his wife are both musicians which brought them together. He enjoys the arts, performing arts, culture and believes that these are essential ingredients to a vibrant life. 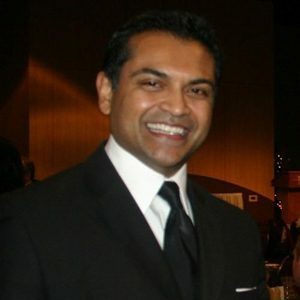 Victor Thomas was born and raised in Saskatchewan and has been heavily involved in the community. 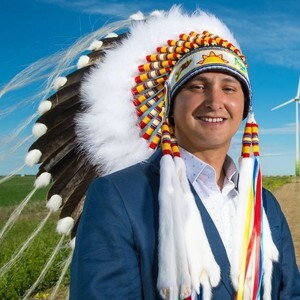 Over the past 15 years he has held various leadership roles at the University of Regina (Board of Governor), Canadian Red Cross in Saskatchewan (Cabinet Chair), Regina & District Chamber of Commerce (Chair) and SaskEnergy (Vice-Chair). 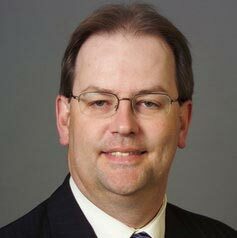 Bruce leads KPMG Canada's Internal Audit, Risk and Compliance Advisory Services and KPMG's Advisory Services in Saskatchewan. He has over 30 years of experience providing assurance and risk-based business advisory services to the public sector, publicly-traded companies and private organizations. He is an experienced project manager and has facilitated dozens of consultative sessions with the public, senior management, boards and audit committees to support business process improvement, risk assessment and risk management projects including managing diverse teams in multiple locations. Bruce serves on the boards of the United Way of Regina, the Saskatchewan Foundation for the Arts , the Lt. Governor’s Gala Committee to Support our Troops and Creative Saskatchewan. 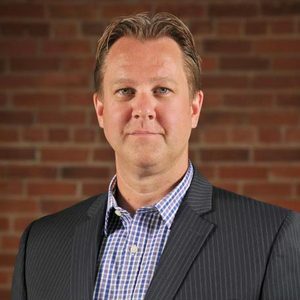 Marlow has been in consulting for more than 25 years as a Project and Program Manager and Management Consultant. More than 7 of those have been in the Healthcare space. Marlow brings a passion for continuous improvement to every engagement. Most recently he has been utilizing big data to support evidence based decision making to help solve wicked problems in all aspects of Human Services - Healthcare, Social Services, Justice, and Education. A die-hard Rider fan and 30 year season ticket holder, Marlow is always willing to engage in football conversations but his real joy is discussing the adventure of being a dad to two teenage girls. Each year, the Health Innovation Summit strives to spark conversation around new ideas and approaches to improving access to healthcare services and the patient care experience, in a broad range of areas, from mental health and addictions to acute services to community care. The 2017 Health Innovation Summit challenged us to think outside of the box, to take a constructive look at what is working well in our healthcare system and where there is room and/or need for improvement. During the 2018 Summit, we will build on the ideas shared during the 2017 World Café and continue those conversations with the goal of turning ideas into action. The Health Innovation Summit will once again bring together leaders in direct care registered nursing with other practitioners, patients, academics, students, administrators, individuals from the business and technology communities, and others from across the province to further develop health innovation ideas. Notably, the 2018 Summit will offer participants the opportunity to connect with fellow healthcare stakeholders, to learn from and inspire others, or to take the next step in bringing innovative and solution-driven ideas one step closer to reality utilizing the “Med.Hack” concept first introduced to the Summit audience at the 2017 event. Disruptive innovation is all around us, including health care. As a keen observer of the culture of modern medicine, Dr. Brian Goldman knows all about that. He defines disruptive innovation and gives current and past examples inside and outside healthcare, as well as the likely major disruptions in the years ahead. Finally, he tells why health professionals are often reluctant to embrace disruption, and how to prepare for it. To learn more about Dr. Goldman, check out his biography in the 2018 Summit Conference Guide. Colleagues, peers, patients, and members of the business and technology communities came together to engage in a powerful and creative problem-solving exercise deigned to brainstorm patient-centred solutions to issues facing the healthcare system today. Teams had the opportunity to work on ideas which ranged from senior care to mental and addictions to wellness barometer – and more. Looking ahead, where will healthcare in Saskatchewan be in 5, 10 years times? What opportunities do innovations in healthcare and technology have in our province? What are Saskatchewan’s greatest successes in healthcare and/or technology and innovation? How can we overcome some of the biggest obstacles to achieving a high functioning health system? Honourable Tina Beaudry-Mellor, the Minister Responsible for Innovation Saskatchewan, the Honourable Jim Reiter, Minister of Health, will shared their perspectives on health and innovation in Saskatchewan, the future of both in the province and how to encourage and leverage growth and development. Click here to view the complete 2018 Summit Conference Guide.